Fancy a Job in the Gin Business? Gin Lovers! We’re Recruiting Gin Ambassadors! Is this not a dream job? Wheadon’s Gin currently have an opening for part-time Gin Ambassadors to be based at our small-batch distillery at Guernsey’s Bella Luce Hotel. If you can tell a London Dry from a Genever, distinguish between a jar of juniper berries and one of coriander berries, and know your negronis from your martinis, then you could be just the person that we’re looking for. 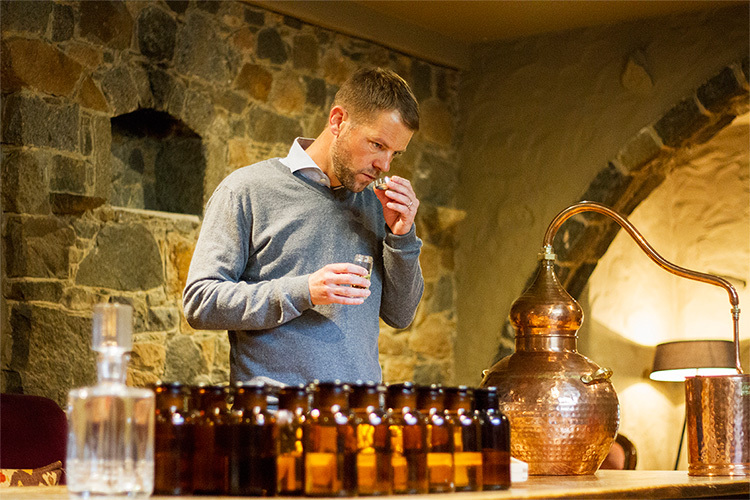 The role of Gin Ambassador at Wheadon’s Gin involves leading our tasting sessions and distillery experiences, giving talks on the history of gin, breaking down the botanicals, and leading guests through an enjoyable and educational half hour to an hour of sipping fine spirits. We have over ninety different gins behind the bar at the Bella, but fear not - full training will be provided so that you know which gins will be appropriate for which experience. Our team members are responsible for providing an exceptionally high level of customer service and educating guests about our gins. Ambassador acts as a host, guiding the guest experience and ensuring a positive experience at our property. A typical gin experience will last approximately 2 hours, including of preparation and clean-up. Gin Ambassadors will need to be over eighteen years of age, and available to work during afternoons and evenings, on both weekdays and weekends. If you are interested in applying for this role then please contact the Bella Luce’s General Manager on gm@bellalucehotel.com, including a cover letter and current C.V.